The world's most advanced barrels, bells and mouthpieces. Finally, a clarinet designed for students that professionals would be proud to play. The Backun Alpha clarinet is the result of years of research and development and the desire to give student clarinetists an affordable instrument that won’t be restrictive during their development. Made from a special synthetic material chosen for its excellent sonic capabilities and exceptional tone, the Alpha also gives professional players an instrument that they can confidently use for performances where a wooden instrument might not be appropriate. And, with a special barrel, bell and bore design by Morrie Backun, the Alpha is sure to take you to the next level. The Backun Beta was designed as an intermediate wooden clarinet for those taking the first leap into playing grenadilla. Whether you’re a young artist picking-up a clarinet for the first time, or a well-seasoned player, the Backun Beta offers exceptional tone, uncompromising craftsmanship and an affordable price, all in one outstanding instrument. Crafted from premium, aged granadilla wood and available with silver or nickel keywork, the Backun Beta is the next step towards excellence! Backun Beta Clarinets come with a Beta grenadilla barrel, a Backun grenadilla bell, mouthpiece pack (including mouthpiece, ligature and cap), cork grease and a swab, all inside a hardshell case that withstands school lockers and the harrowing trip home to practice. Crafted from the same high-quality woods and materials as Backun and MoBa Artist Clarinets, the Protégé Bb Clarinet will help you secure your place on centre stage. After all the hours spent practicing, you deserve to be there! 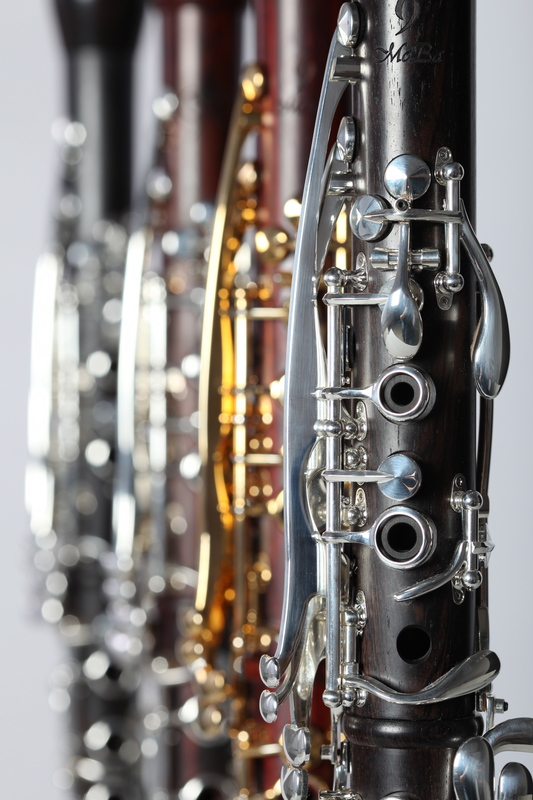 The New Q Series Clarinet is the latest masterpiece in the line of Backun professional clarinets. 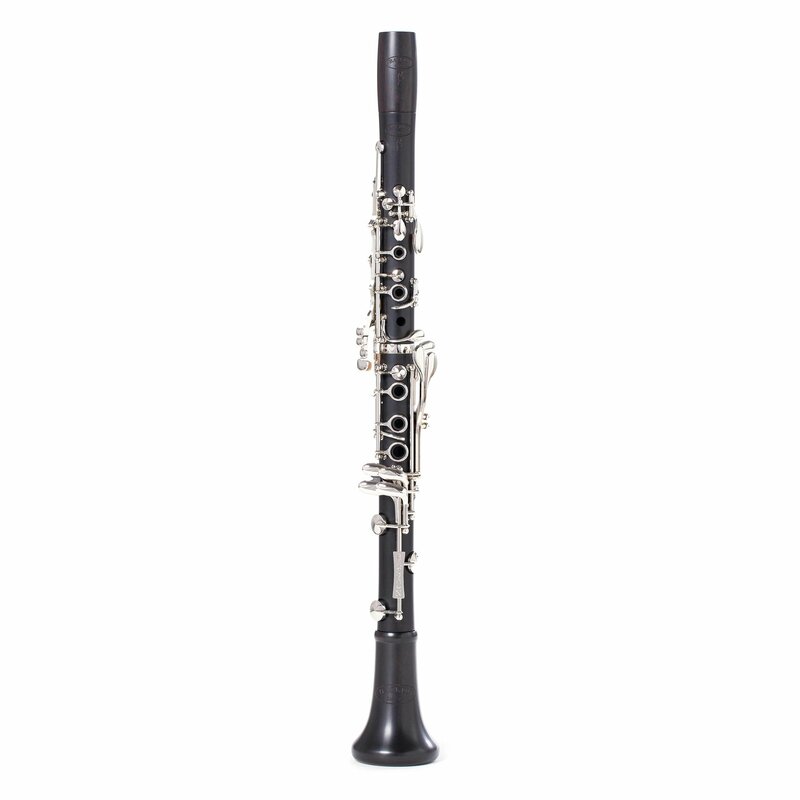 Developed for artists who seek a more traditional playing clarinet, the Q Series offers exceptional intonation and response in a precision crafted all-wooden instrument. Beginning with premium unstained grenadilla wood that is ethically and sustainably harvested, the Q Series holds nothing back. Through a proprietary CNC (Computer Numeric Control) manufacturing process, optical measuring tools are used to ensure a precision bore and perfectly sculpted tone holes with optimal under- and over-cutting. Forged and hardened nickel-silver keywork, plated in stunningly bright silver, result in an musical instrument of exquisite beauty. A professional clarinet of exceptional character and versatility, the Model F represents the future, not the past. Consider it a signal to clarinetists around the world that tradition has a new name. That name is Backun. 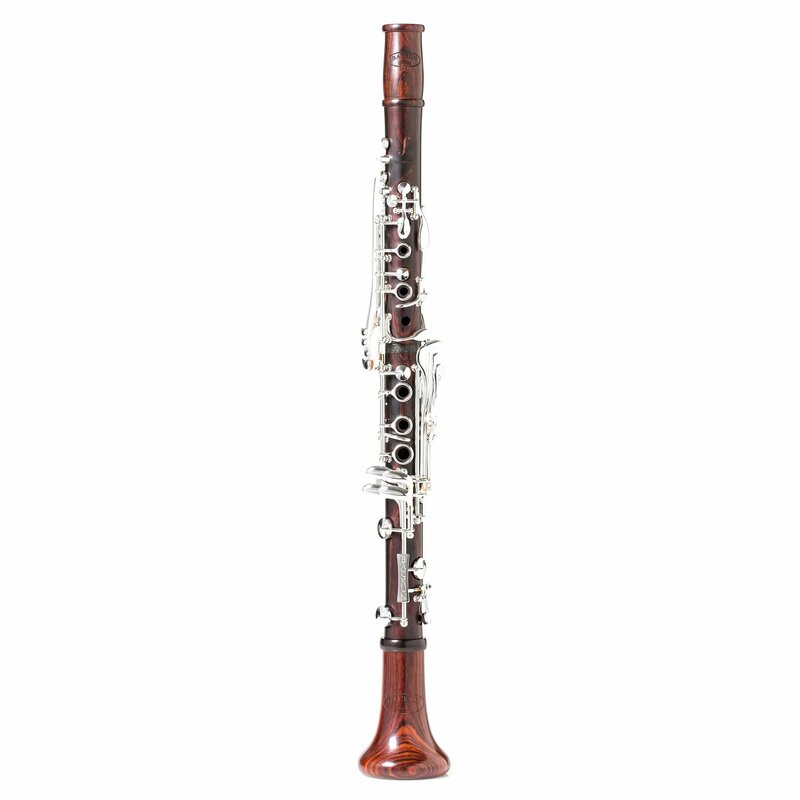 With an automatic Low F Vent mechanism for unrivaled tuning and intonation, Backun Musical Services once again sets the standard for professional clarinets with this clarinet, available in both Bb and A keys, with cocobolo or grenadilla woods and silver or gold keywork. Inline trill keys on the upper joint and a unique acoustical design with precise undercut toneholes give the Backun Model F a playing experience that is second-to-none. The MOBA Clarinet is not merely an upgrade, but rather a new model on an entirely different level. 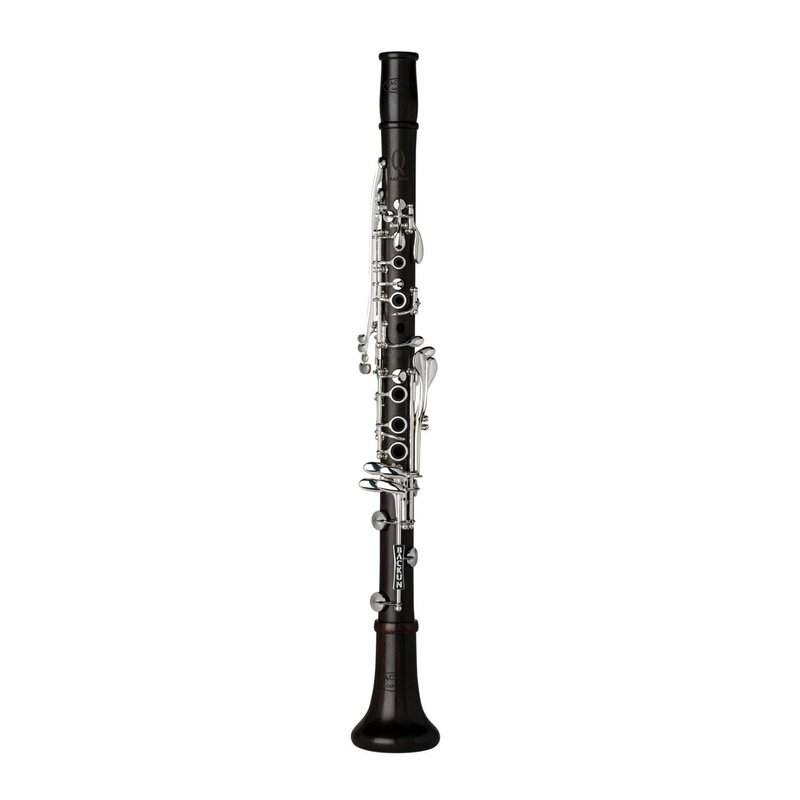 With all of the features of the Backun Clarinet, the MOBA model incorporates a unique low F vent mechanism for optimal tuning. Each MOBA Clarinet is tuned and voiced to Ricardo Morales’ unwavering standards.